Built as a steel hulled three mast sail training barque under yard no 4 by Brenn-und Verformtechnik (BVT) at Bremen for the Deutsche Stiftung Sail Training in Bremerhaven. 11 December 2008 laid down. Tonnage 763 grt, 288 net, 820 dwt, displacement 992 ton, dim. 65.1 x 10.0 x 4.7m. (draught), length bpp.47.4m. Auxiliary engine, one Volvo Penta D16, 715 hp, speed ? Sail area 14,600 sq.ft. 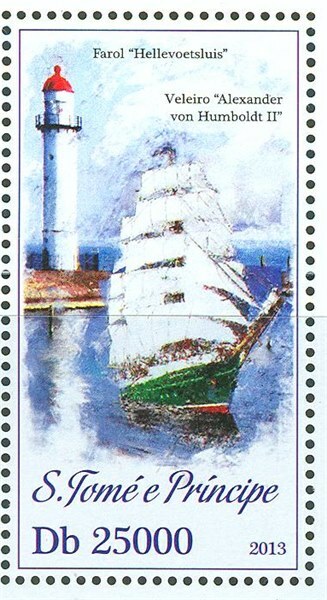 Speed under sail? Passengers by day trip 120, and by longer cruises 60, crew 79. 07 October 2011 completed, homeport Bremerhaven, IMO No 9618446. 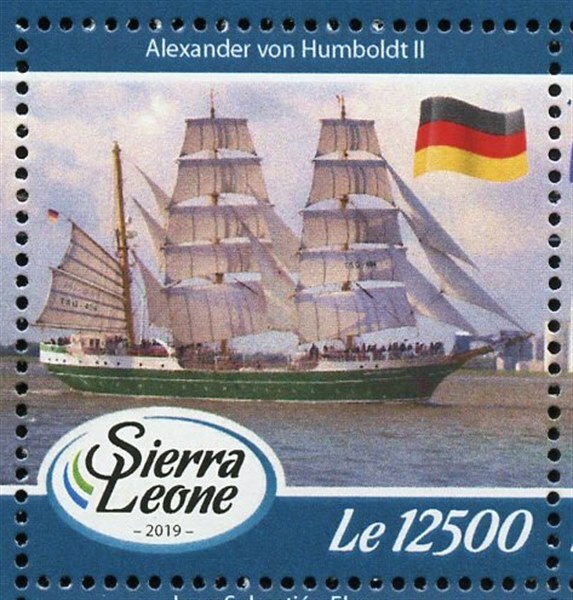 ALEXANDER VON HUMBOLDT II is a German sailing ship built as a replacement for the ship ALEXANDER VON HUMBOLDT, which had been launched in 1906 and used for sail training since 1988. Constructed by Brenn- und Verformtechnik (BVT) in Bremen, the new ship was launched in 2011. 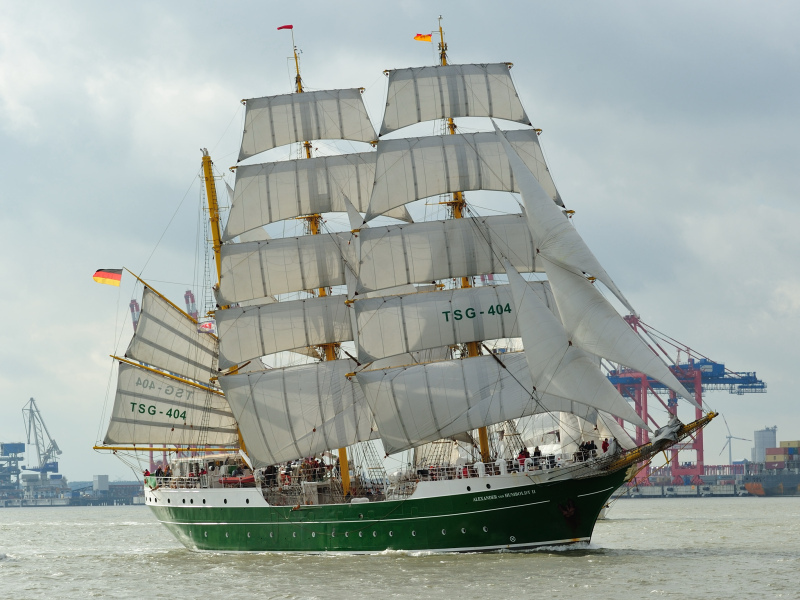 Just like her predecessor, the ALEXANDER VON HUMBOLDT II is operated by Deutsche Stiftung Sail Training in Bremerhaven which offers sail training for people between 14 and 75 years of age. St Tome et Principe 2013 DB 25000 sg?, scott?